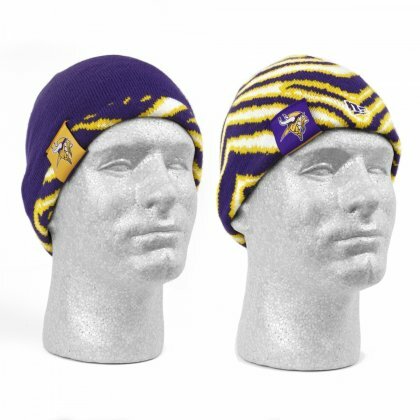 Celebrate your Minnesota Vikings fandom with this exclusive Zubaz reversible knit beanie from New Era! If you're looking for a new and trendy way to represent your Minnesota Vikings, look no further. This beanie is the perfect addition to your wardrobe, with authentic sublimated team colors and quality woven Vikings zebra graphics!